Looks kinda like that emblic fruit one. 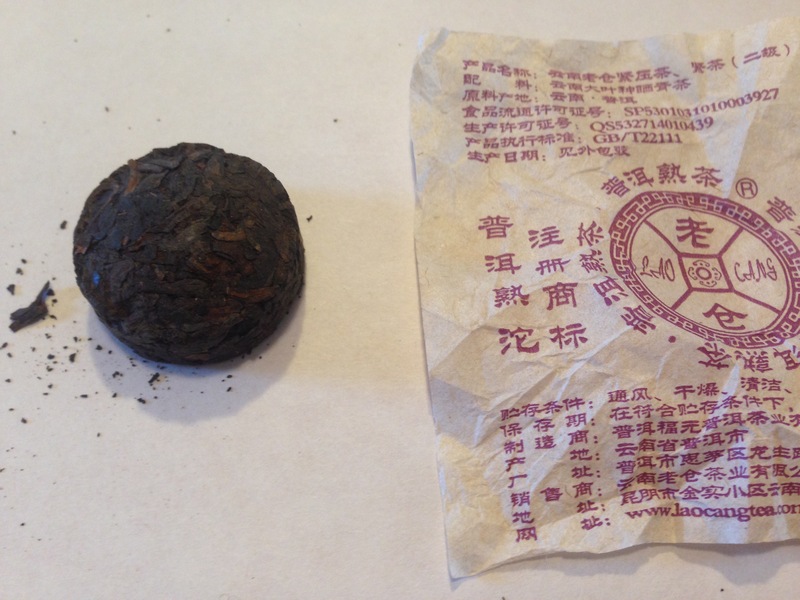 I don’t notice any particular aroma besides puer, nor any difference in taste. Just seems like a plain puer. 07 Apr	This entry was published on April 7, 2016 at 2:35 pm. It’s filed under Brewing, Drink, Tea, Uncategorized and tagged andrew vochman, drink, food, introduction of heat, puer, tea. Bookmark the permalink. Follow any comments here with the RSS feed for this post.